Simpson Garden Tour in Bowling Green. 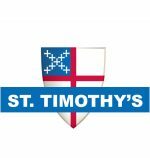 Get Together at St. Timothy’s -Maybe it is a trip to the Toledo Museum of Art, Toledo Mud Hens game, a Tour of the Simpson Garden in BG, or what we call Dinners for Eight – groups of folks taking turns making a meal and talking. Contact the office at office@saint-timothy.net or call 419.874.5704 for more information.